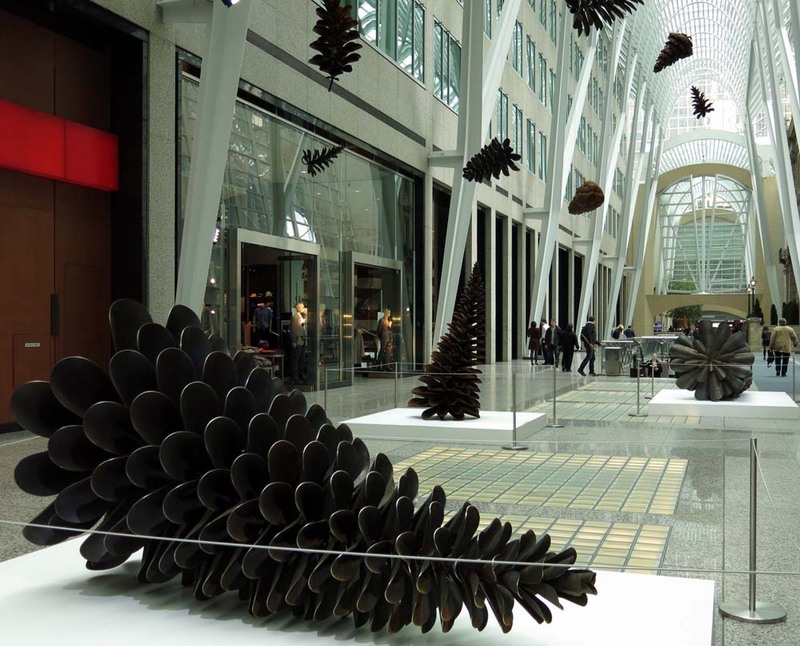 Canadian artist Floyd Elzinga's large metal sculptures of natural elements help celebrate Earth Day 2015. 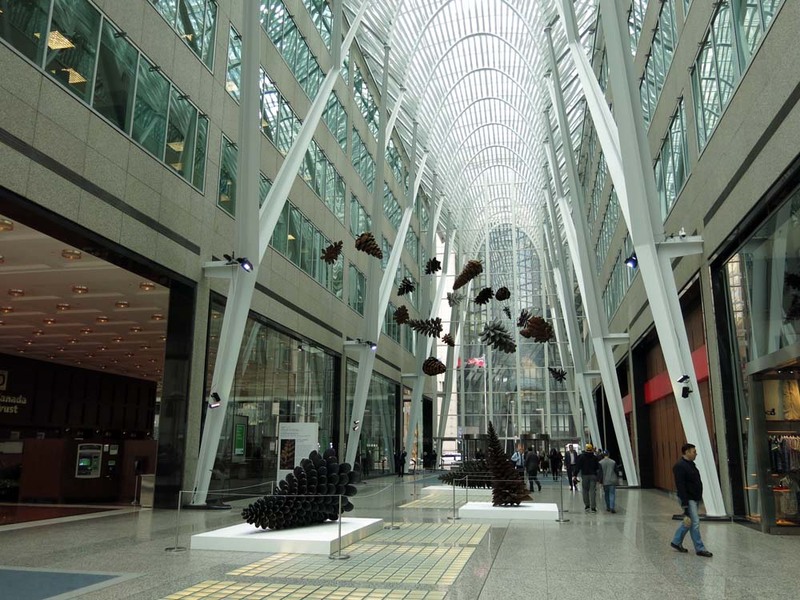 The majority of the conical sculptures hang from the galleria steel supports. 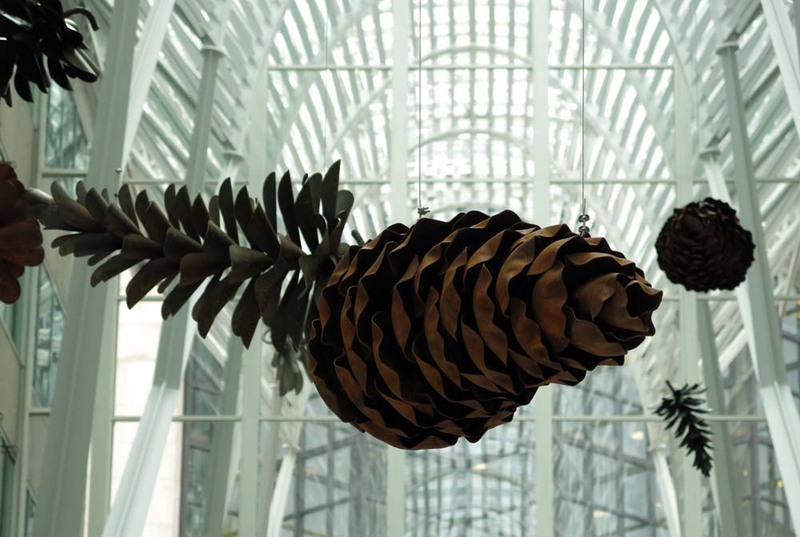 The pine cones, both imposing and familiar to Canadians, are forms that are found everyday in local parks and forests, hanging from trees or already fallen to the ground. 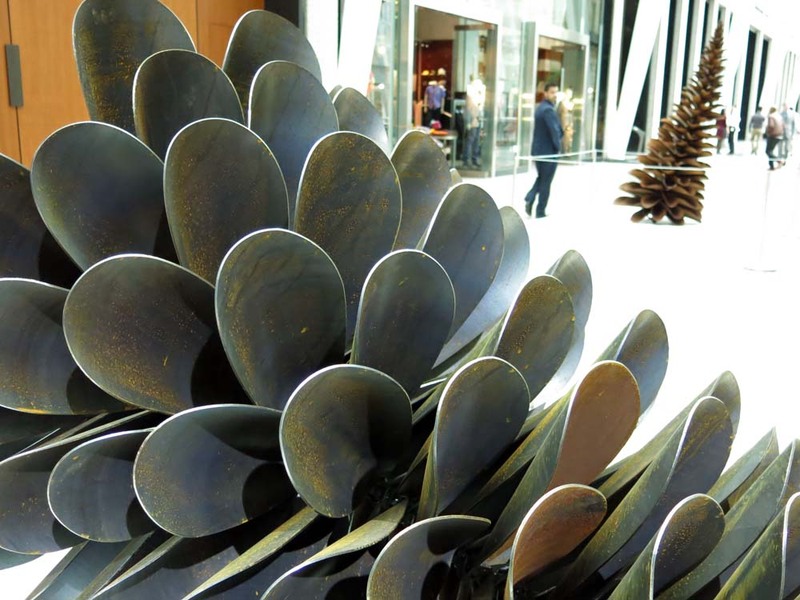 However, in the art installation, the super sized reproductive cones are made of solid steel and are unable to release any seeds. "His technique morphs an unrelenting material into intricate natural forms. 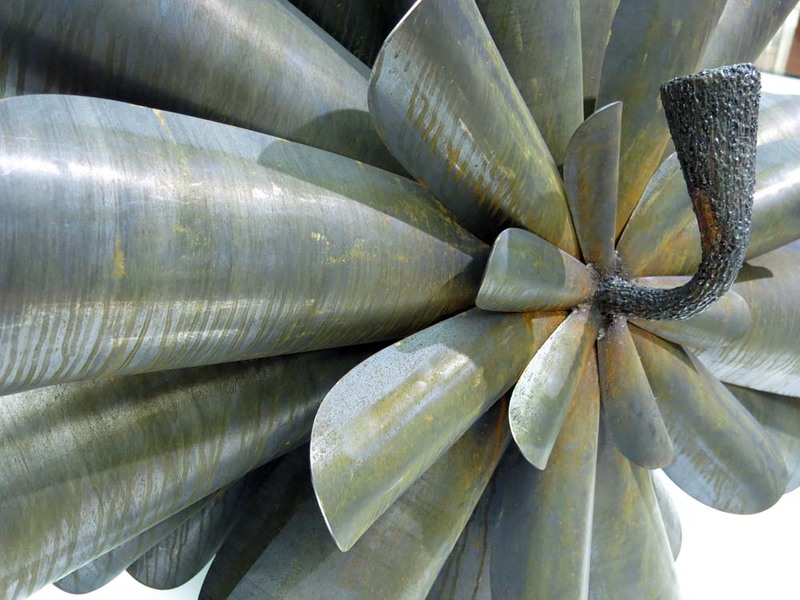 His sculptures represent the natural environment, which always seeks to thrive, regrow, and renew. His practice connects to themes of nature and the environment from a place that is deeply rooted in Canadian artistic traditions. Current themes in his work focus on broken landscapes, portraits of trees, and the aggressive nature of seeds." 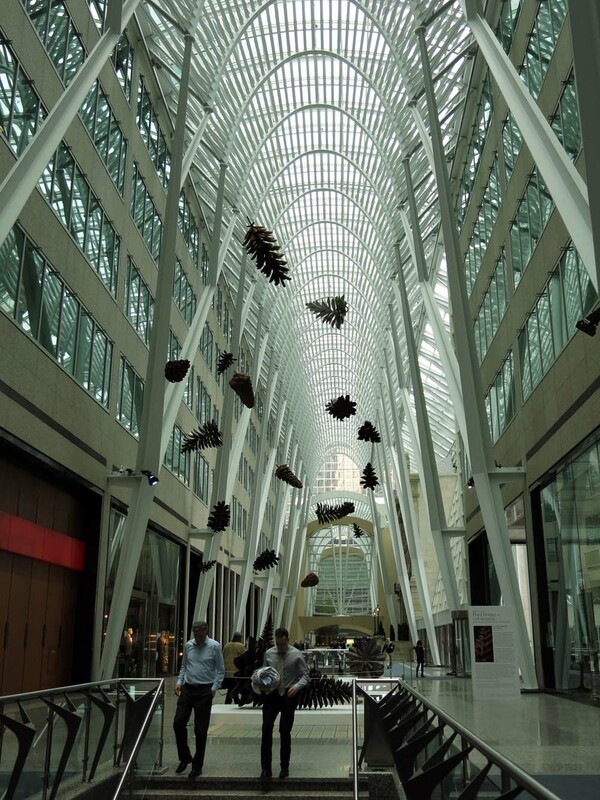 The Pine Cone Colony work is in the Allen Lambert Galleria from April 13 to April 24, 2015.